Michigan is adding to its 2018 roster through the addition of Seattle transfer middle blocker/right side Katarina Glavinic. Standing at 6’3″, Glavinic will be a junior in the fall of 2018 with two years left of play. A native of Croatia, Glavinic spent two seasons with Seattle. As a true freshman in 2016, Glavinic recorded 1.20 kills per set and 0.75 blocks per set. Then, in 2017 she started all 28 matches for the program, logging 212 kills (2.08 per set) on a .257 mark to go with 99 blocks (0.97 per set). Michigan is coming off of a season in which they went 21-12 and made the NCAA Tournament. 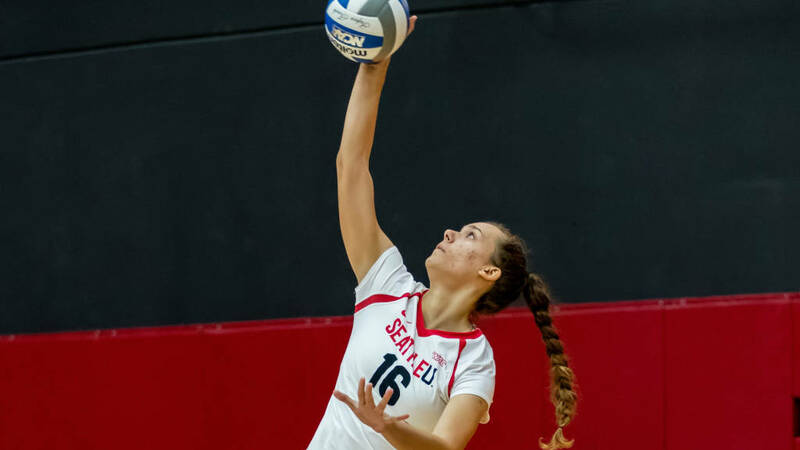 The 2018 roster features two middle blockers and one opposite, giving Glavinic a chance at playing time this season. For her former team, Seattle, they’ll look to recoup from the loss as three middle blockers are in the fold to return for 2018.